What a crazy couple of weeks! 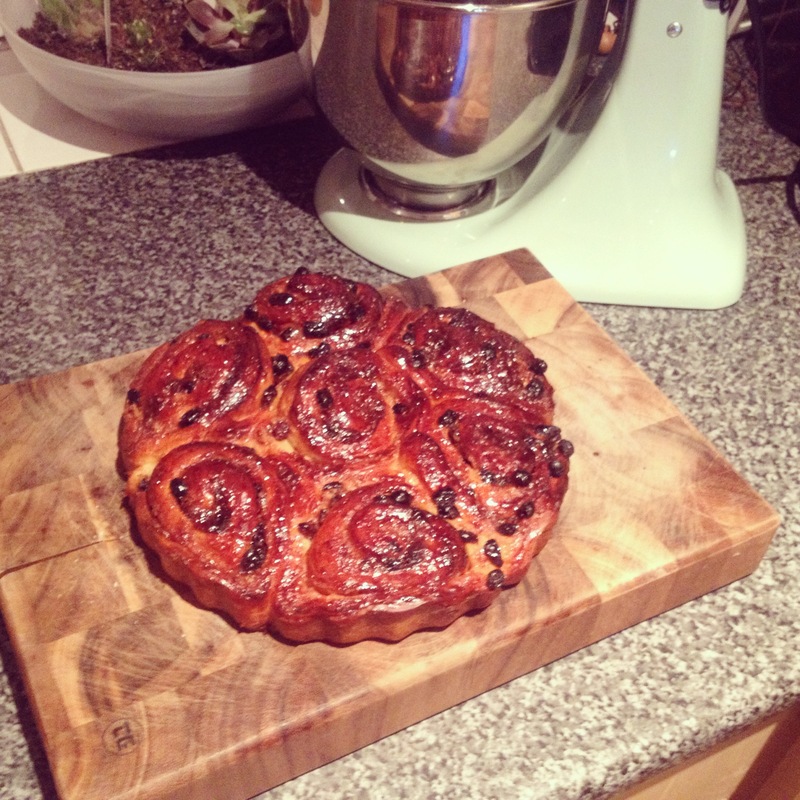 I’ve been so super busy, I’ve not had time to make or bake a thing! 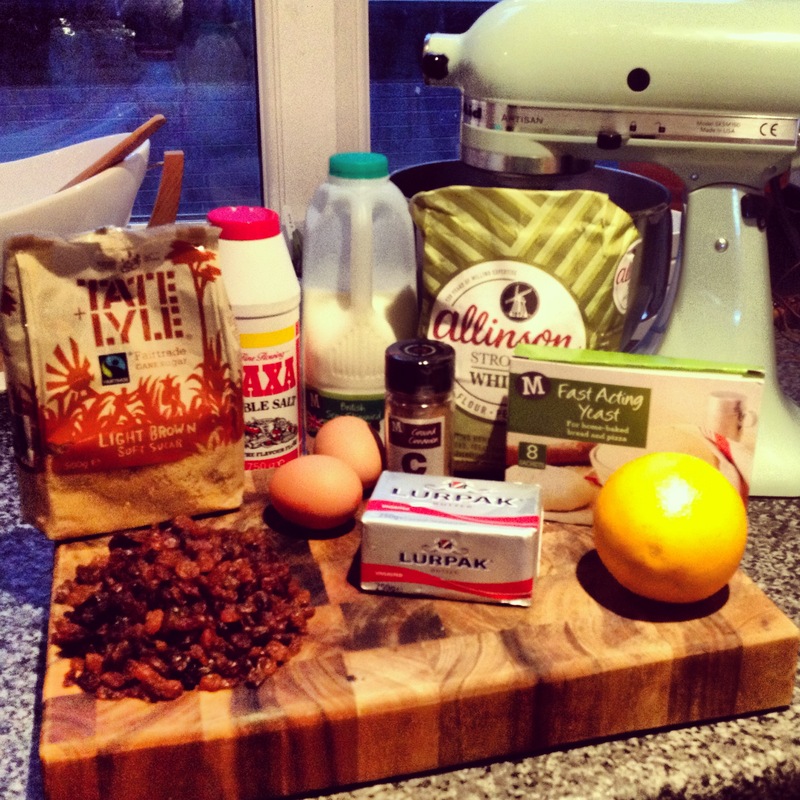 Anyway, on to the ingredients & recipe…..enjoy! 1. Mix the flour, salt and sugar together in a stand mixer using a dough hook. Crumble in the fresh yeast/dried yeast and then rub the softened butter into the flour mixture with your fingers until you there are no large lumps left. 2. Make a well in the flour mixture and pour the milk and 1 egg into the well. Again, mix together in the stand mixer using the dough hook. 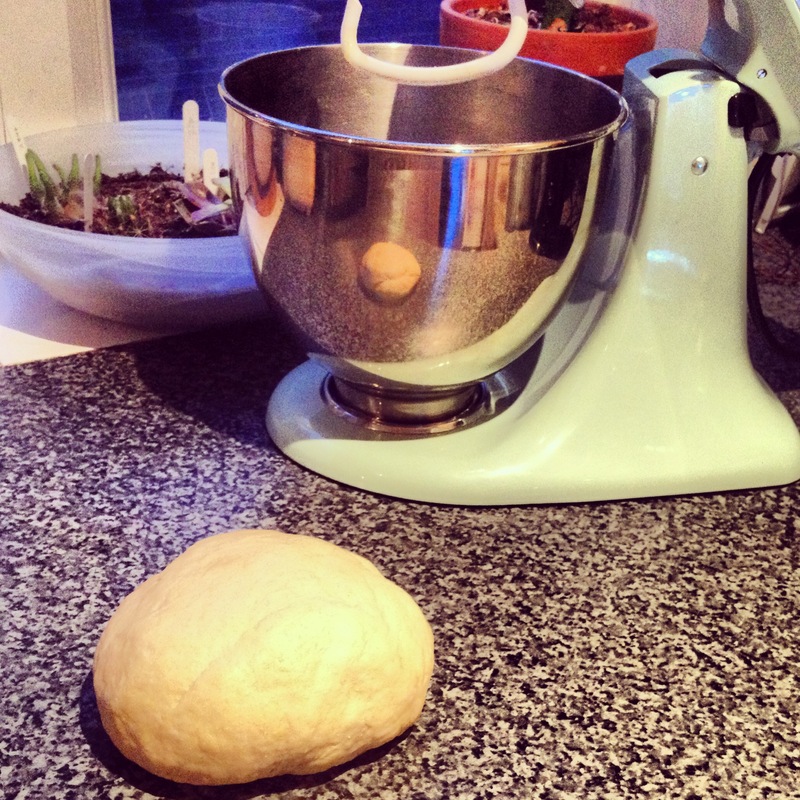 Remember: This is quite a sticky dough – keep mixing until all of the flour is incorporated, this will soak up the liquid. Tip: Cut a small piece of the dough off and stretch the dough as thin as you can – Hold it up to the light, if you can see light shining through the dough and you can see the shadow of your fingers held behind the thinnest part, your dough is ready! 4. Your dough will now need to prove. Put the dough in a bowl that has been coated in a little vegetable oil, cover with a damp tea towel and leave to prove for about 90 minutes. Now you can make the filling! Mix the sultanas with the orange zest and poor in the juice of the orange (about 100-125ml) and set aside for around an hour. 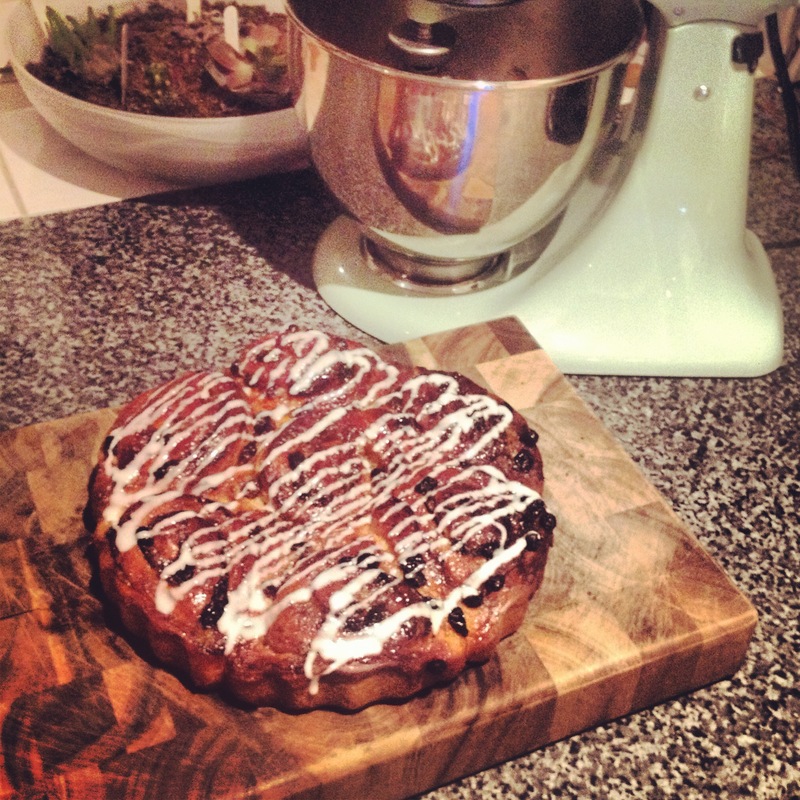 Tip: You can make the sultana and orange mixture the day before if you like! 5. 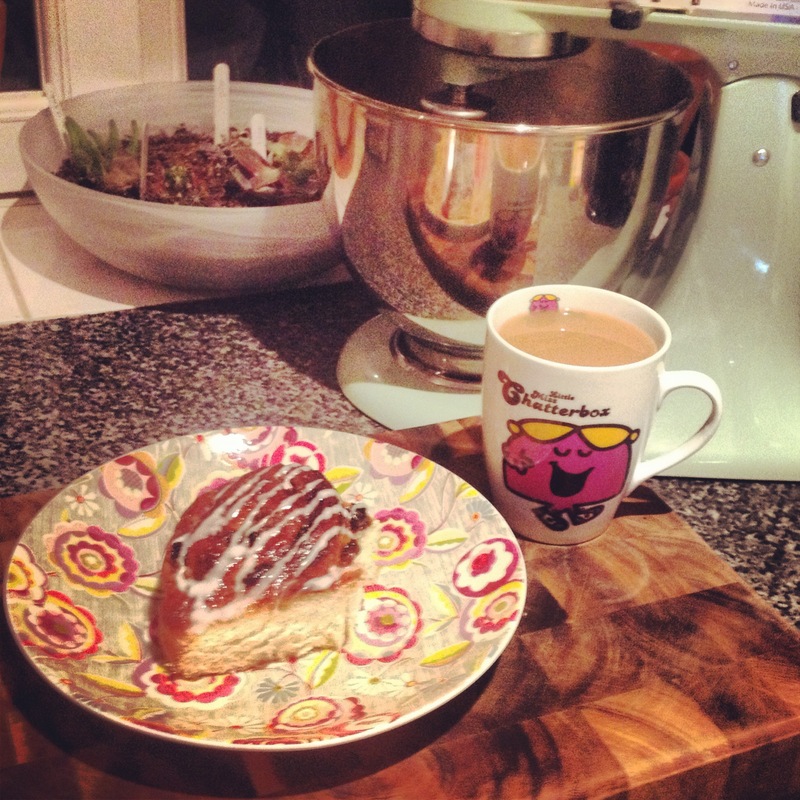 Using the standard wire beater attachment, beat the sugar, cinnamon and softened butter until well combined. 6. Lightly grease the base and sides of a roasting tin or stoneware dish with butter and line with baking parchment. 7. 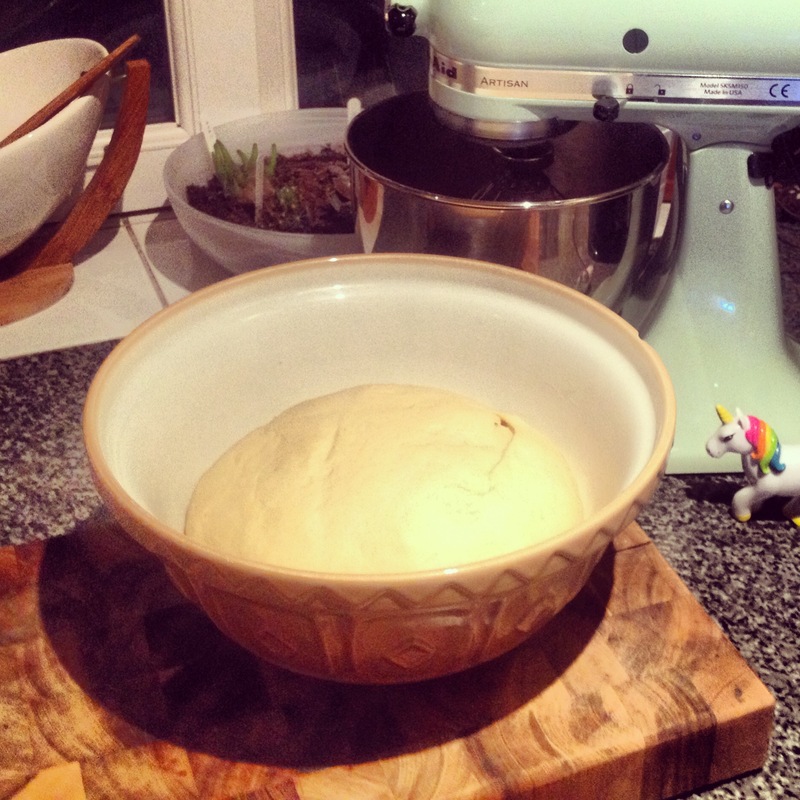 After 90 minutes your dough should have nearly doubled in size. Tip the dough out of the bowl and knock the air out of it. 8. 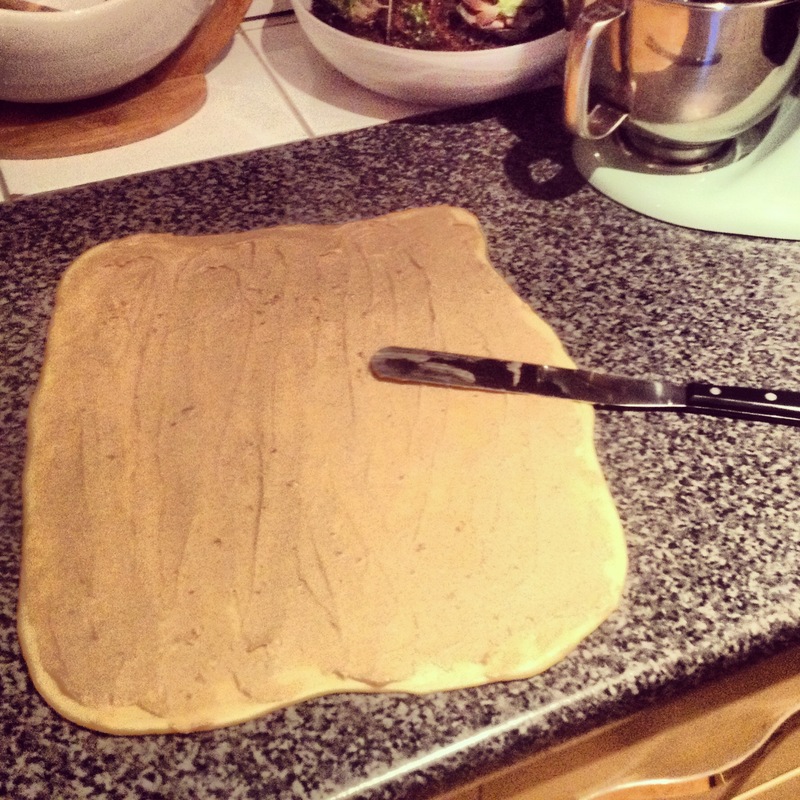 Roll the dough into a rectangle, about the thickness of a £1 coin. This can be hard work as its quite elastic but its worth it! Keep going until the longest side of your rectangle is about 14cm long. 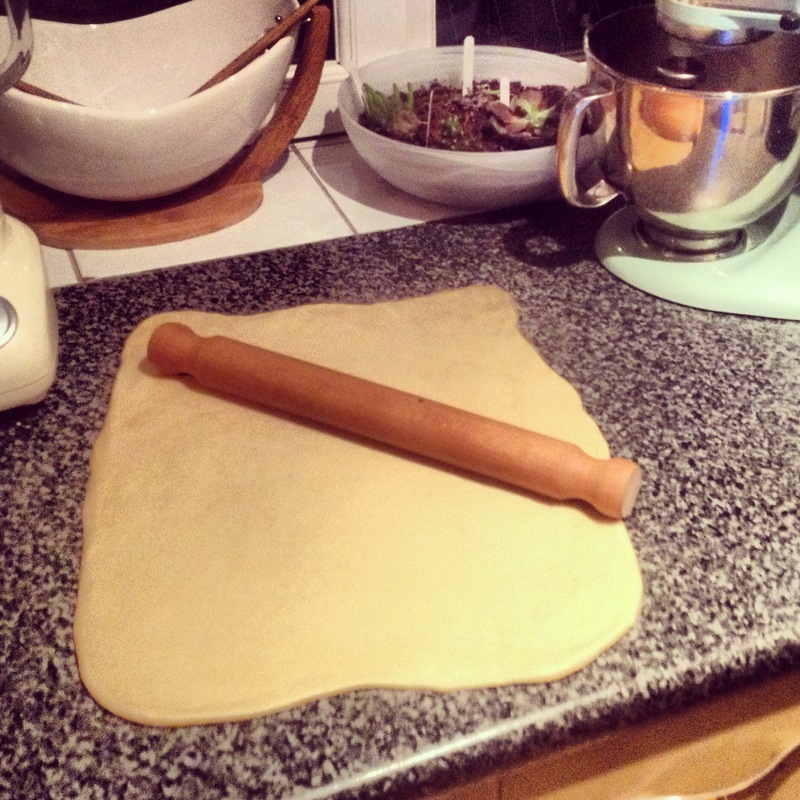 Tip: Be quite forceful with your rolling pin, really press down to help roll the dough in to a rectangle shape. 10. Drain the orange soaked sultanas (keep the juice to one side for now!) 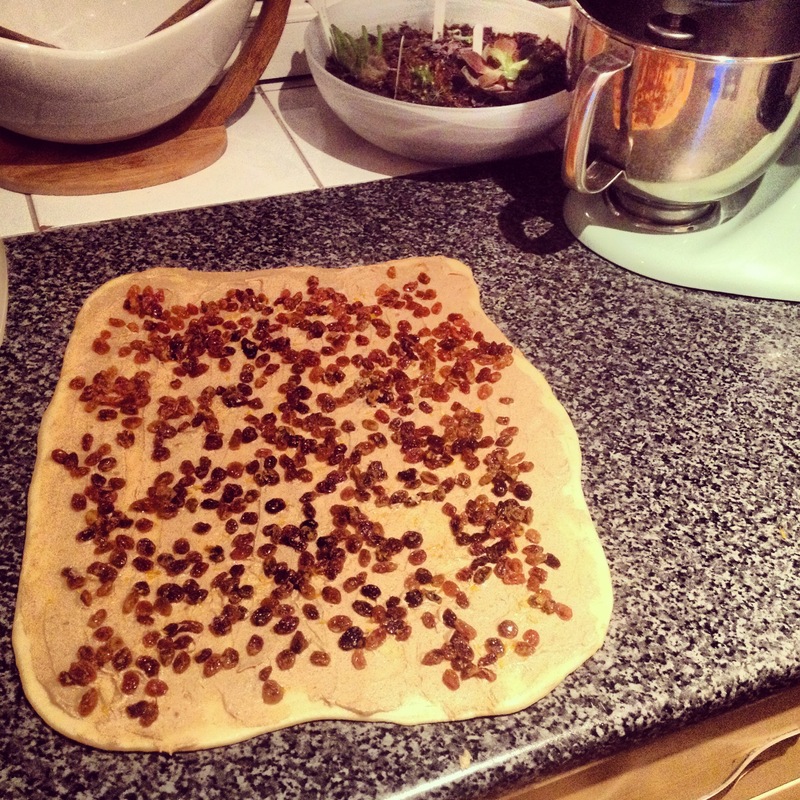 then sprinkle the sultanas evenly over the dough. 11. Now you can roll the dough up in to a sausage shape. 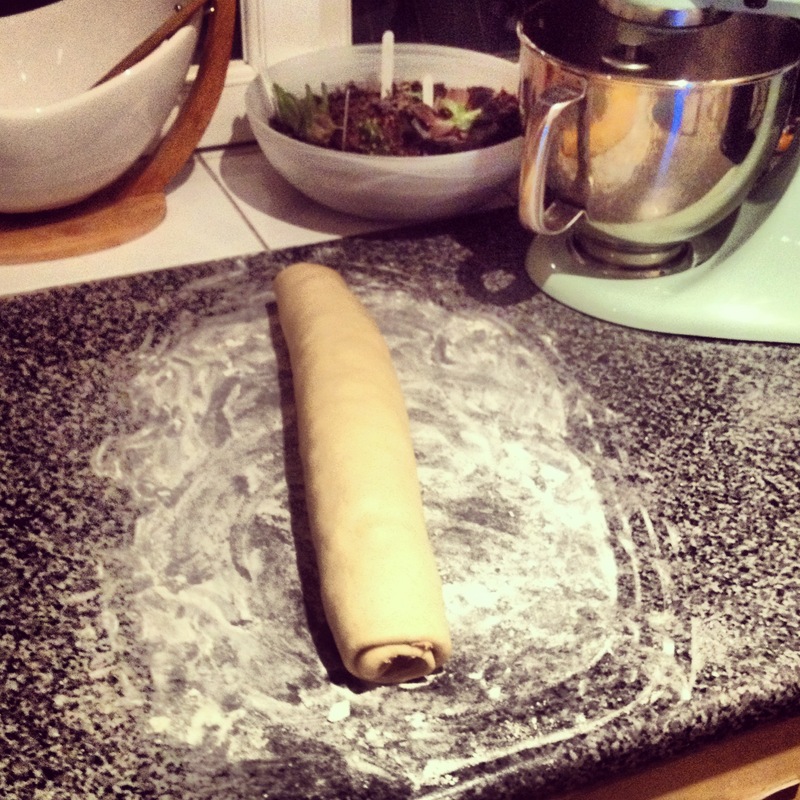 Make sure you roll it up length ways, starting with the long side of the rectangle shape. 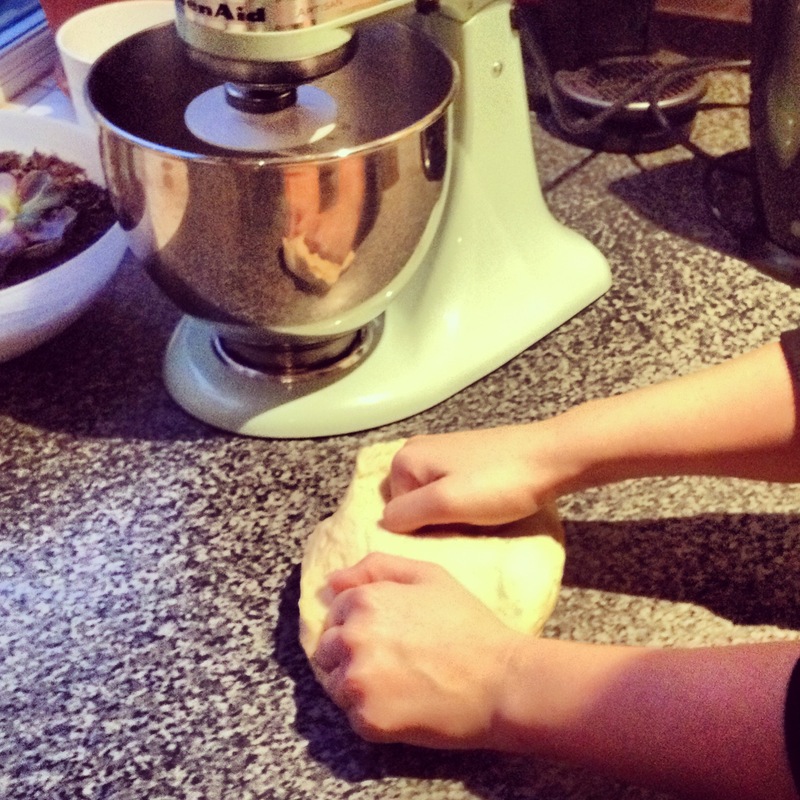 Tip: Flour your work surface and lay the rolled dough on top of the flour before cutting into it. 12. Cut your dough in to around 12 evenly sliced pieces. 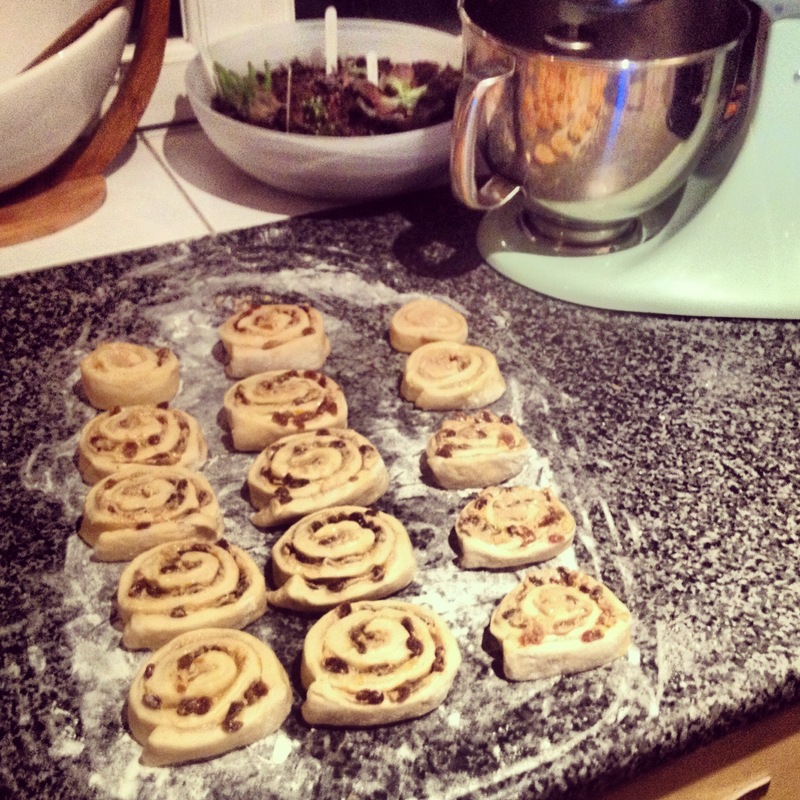 (I got 15 – I might have rolled the dough too thin?). 13. 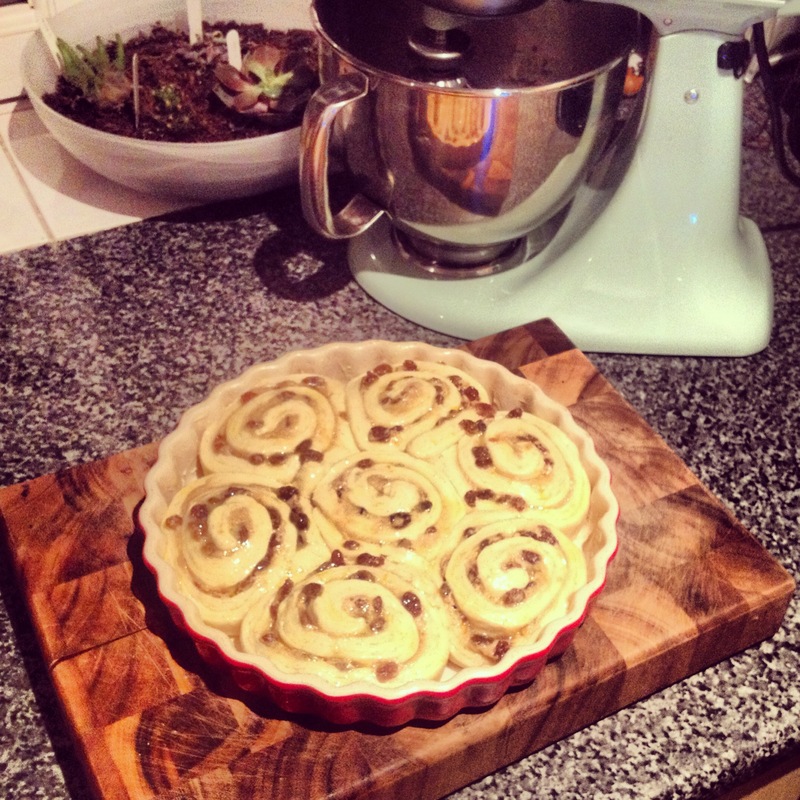 Place the slices next to each other with the spiral shape facing up, into the greased & lined tin. 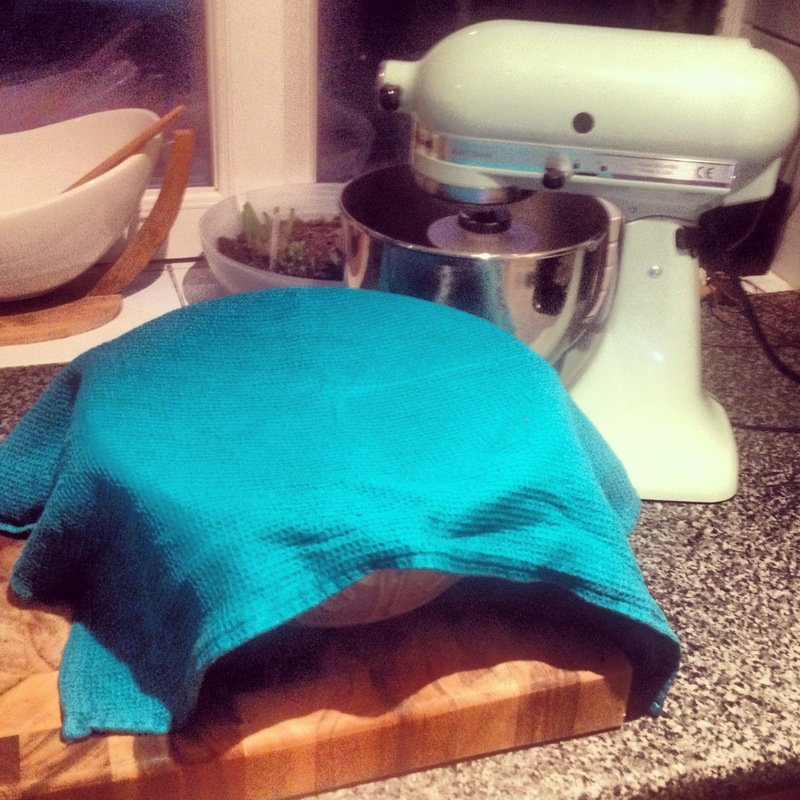 Again, cover with a damp tea towel and leave to prove for 45 minutes. 14. Preheat the oven to 200C/Gas 6. 15. After 45 minutes the buns should have risen and feel springy. Beat the remaining egg and egg yolk together in a small bowl, and brush over the buns with egg glaze. This will help them brown and give them a lovely deep colour. 16. Bake the buns at 200C/Gas 6 for 10 minutes before lowering the oven temperature to 180C/Gas 4. Cook for a further 20 minutes. 17. Whilst the buns are in the oven, you can make the syrup. Pour the remaining orange juice from soaking the sultanas into a small saucepan with the golden caster sugar. Gently heat the mixture, stirring until the sugar dissolves. Once all of the sugar has dissolved you can set it to one side. 18. As soon as the buns have finished baking, remove them from the oven and brush over them with the orangey syrup so that the flavour can soak in – Yummy! 19. Leave the buns in the tin for around 15 minutes before transferring them to a wire rack to cool. Remember: You really wont need to use much icing sugar at all as these buns are already very sweet – I think it just makes them look a little prettier!